Omar was the featured guest at an event billed as, “Reclaiming Religious Freedom: A Conversation with Rep. Ilhan Omar.” The moderator was Winnie Stachelberg, CAP’s executive vice president for external affairs. Stachelberg asked Omar, point-blank, about what she had learned about antisemitism from dealing with controversy over her own past remarks. The tweet remains live; Omar has acknowledged it was offensive but has not removed it. Stachelberg’s question is a sign that Omar — whom Speaker Nancy Pelosi (D-CA) appointed to the House Foreign Affairs Committee, cannot evade the controversy, even in a left-wing institution sympathetic to her political views. Stachelberg: I want to pick up on that theme of dialogue and conversation. You’ve spoken publicly about your own learning process when it comes to engaging in discussions and debates around Israel. I wanted to ask you about antisemitism and criticism of Israel. You’ve explained recently, past remarks about Israel that you came to understand had inadvertently echoed stereotypes against Jews, and I wanted to ask you, in terms of conversation and dialogue, what have you learned about antisemitism from engaging in these debates? What have you learned as you’ve spent some time thinking about this? The GOP titled its video clip: “Asked About Accusations Of Anti-Semitism, Rep. Omar Talks About How Israelis ‘Harbor Hate,'” It is not clear that she is talking about Israelis. Rather, it seems she is simply trying to avoid the question while insisting that criticism of Israeli is not antisemitic, and committing to continue criticizing Israel. Controversy about Omar’s beliefs continues to grow. 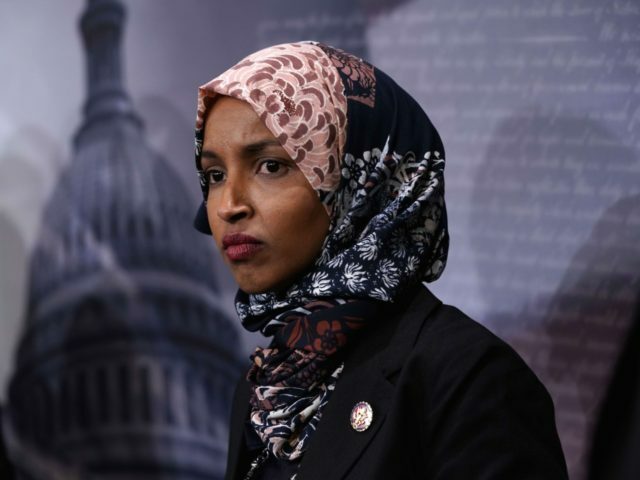 Earlier this week, Fox News revealed that Omar told a local television host in Minnesota in 2013 that terrorism is a reaction to American foreign policy. On Tuesday, the Daily Caller reported that the host, Ahmed Thawrat, has referred to Israel as “Jewish ISIS,” among other radical rhetoric.